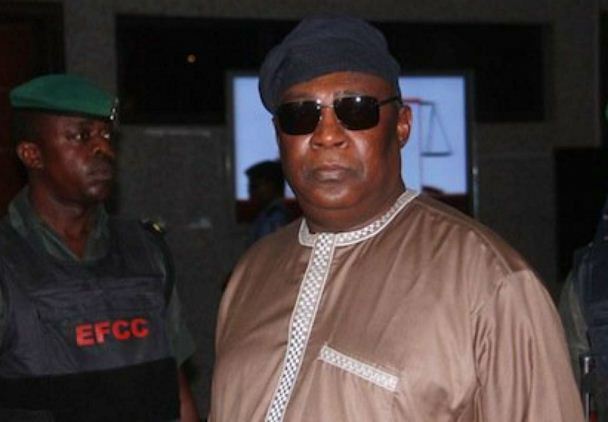 The EFCC has included additional proof-of-evidence in the trial of the former Chief of Defence Staff, Alex Badeh, which stalled the trial at the Federal High Court, Abuja. The prosecutor and Counsel to the Economic and Financial Crimes Commission (EFCC), Mr Rotimi Jacobs (SAN), filed the additional proof to beef up evidence against Badeh. Chief Akin Olujimi (SAN), who replaced Mr Samuel Zibiri (SAN), as the defence counsel, however, filed an application seeking an adjournment to study the case file and also said the defence team needed time to study the additional evidence filed by the prosecution. However, the prosecuting counsel opposed the application, leaving the Judge, Justice Okon Abang with no option than to rule on it. Delivering the ruling, Abang held that the right of defence was a personal right of the applicant that could not be denied. He said the applicant had the option of defending himself personally or to enlist a private counsel to act on his behalf. Justice Abang said that on the issue of late service of the addition proof of evidence filed by the prosecution, the applicant may have a point there. He thereby adjourned the matter till March 16 for day-to-day trial. The former CDS is standing trial for alleged misappropriation of N3.9 billion belonging to the Nigerian Air Force while serving as the Chief of Air Staff.